Nope, welcome to Assateague, a sandbar on the edge of the world. 10-15 mph winds... gusting to gale force with nothing but the van to stop them. Camping neighbors cleverly tied a tarp to their picnic table to serve as temporary windbreak for tent. I finagled van into place to sort of be a windbreak and never opened more than one door at a time (wind tunnel = all of van's contents blowing to Florida). Ground Blizzard of Sand. Impossible to sit on beach chair on beach because... sandstorm and I Am Not A Camel. ​Also tent flapped for two days... you have no idea how loud a flapping tent in gale force winds is. Also good thing I was only person in tent because I had to angle bed so flapping tent did not flap on my face. Where are the wild horses? Oh, they fled inland to avoid the wind. 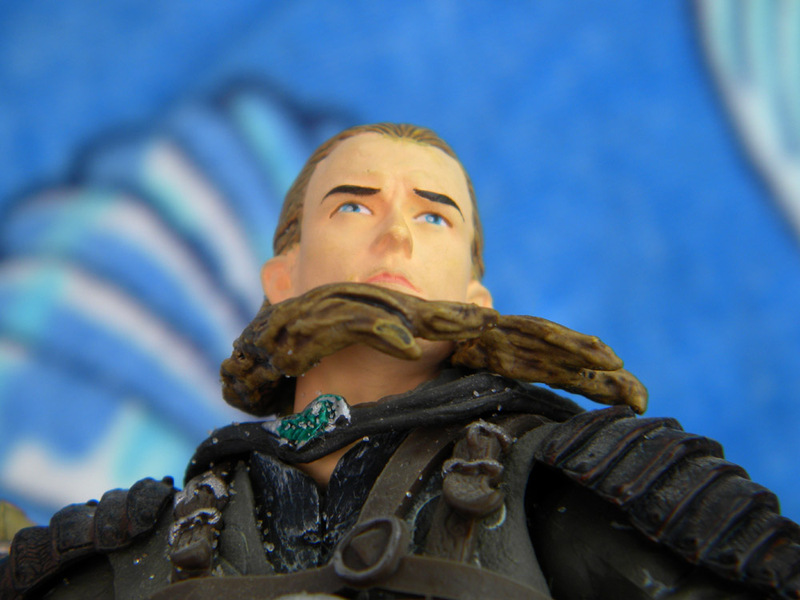 ​Toothless got washed out by wave. %^**!! Not the quiet beaches of the Chesapeake Bay. Real surf. ​Did not pack bike: lots of roads to ride on and places to pull bike over but not car. So... bike. I didn't have one. ​...or at least a slightly odd photoshoot. 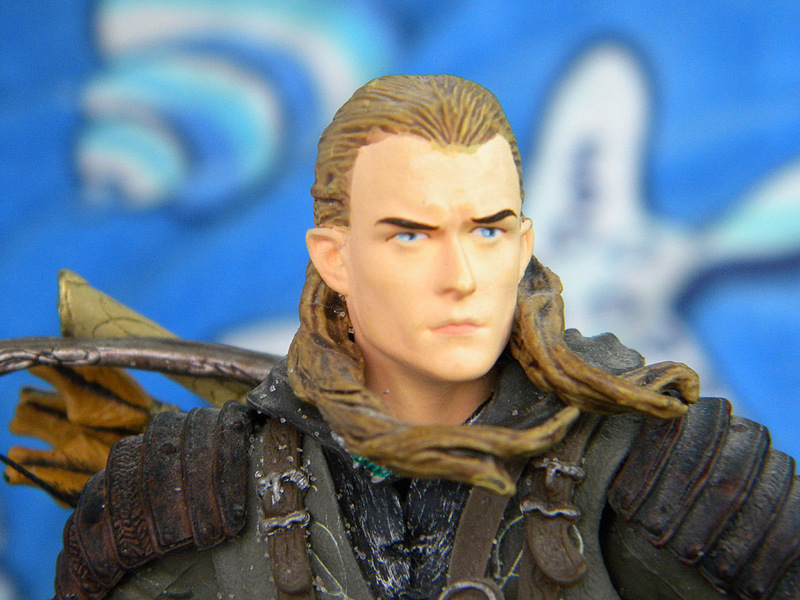 The various Legolas action figures are from Toy Biz's Lord of the Rings collection. Shot from various angles, his face actually has different expressions. The Traditional sized Breyers are to scale, if the horses they are riding are big ones. 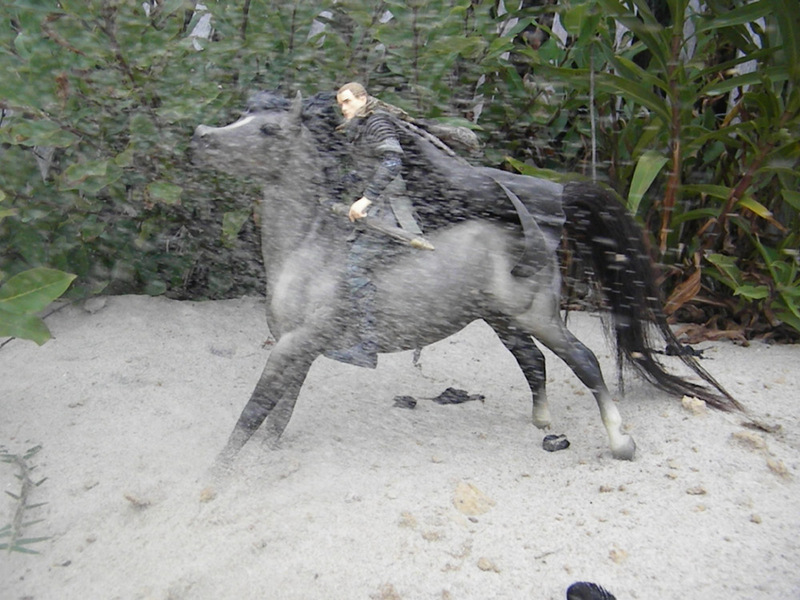 This grulla is Smokey the Cowpony (whose broken tail I replaced with some epoxy putty and real horsehair). 1981-1985, sculpted by Chris Hess. The site is A-loop in the Maryland State Park. The tent sites are right behind the dunes. ​The beer is Flying Dog's oyster stout "Pearl Necklace". 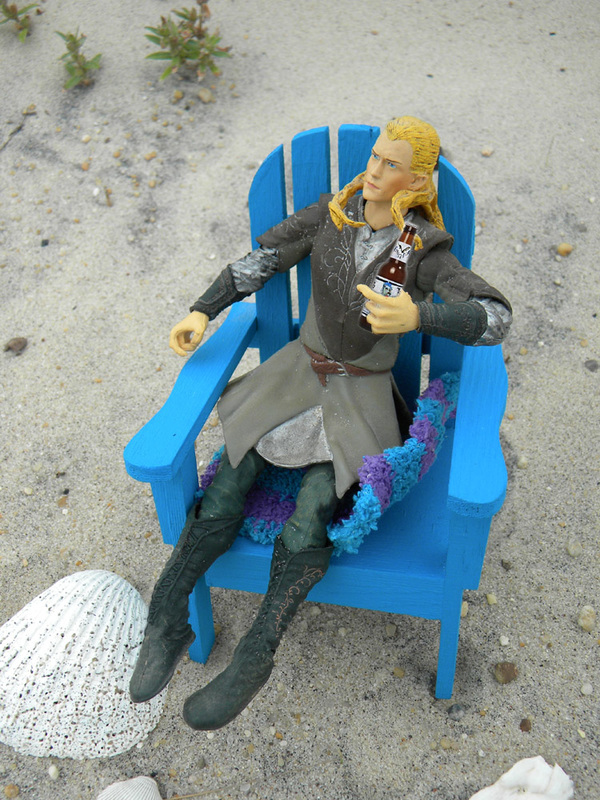 Beer is not allowed in Maryland state parks... unless you're an Elf. 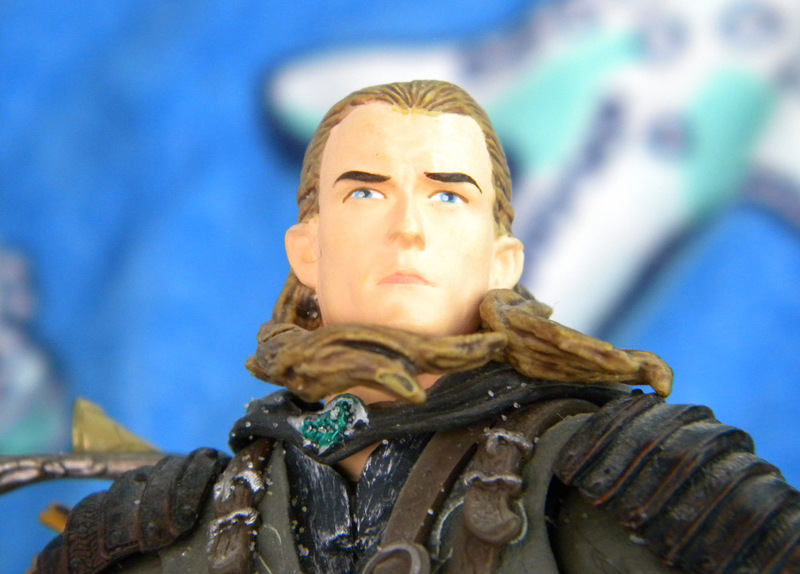 More Toy Biz LOTR figures and traditional sized Breyers. 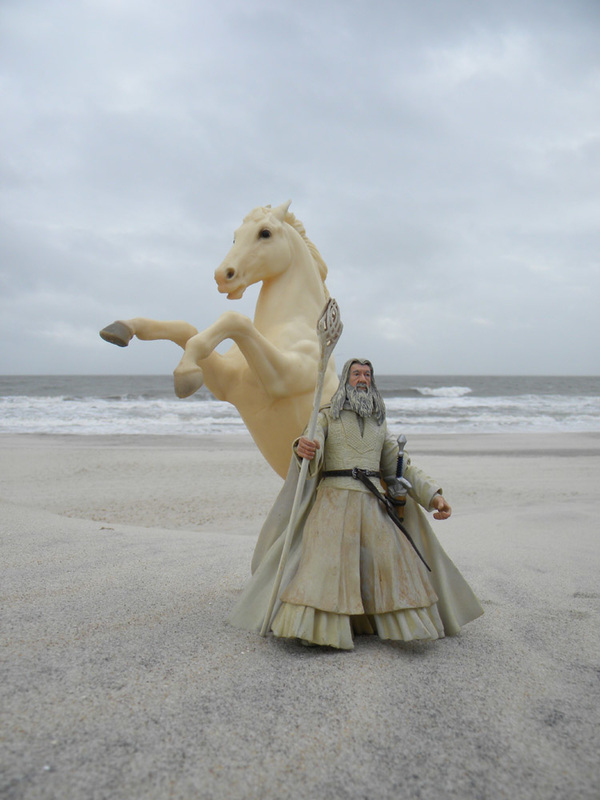 Gandalf's n"Shadowfax is Breyer's Fighting Stallion who has been in production since 1961, in a wide variety of colors, sculpted by Chris Hess. This matte alabaster version was done between 1965 and 1985. He's yellowed a bit over time. The black horse with the Elven warrior is Breyer's Black Stallion (also a Chris Hess sculpture), 1981- 1988, some other colors available later. The overo pinto with Tauriel (The Hobbit films) is Hidalgo, from the film of the same name. The gorgeous Hidalgo model is also Silver, Hobo, Blue Suede Shoes, Fortissimo, Black Beauty, Phoenix rising, Mauvelous, Strawberry fields, Skullduggery, Matrix, Unbridled, Mythic Pegasus, and others, depending on the paint job. He is one of my few non-Chris Hess models and was sculpted by Kathleen Moody. 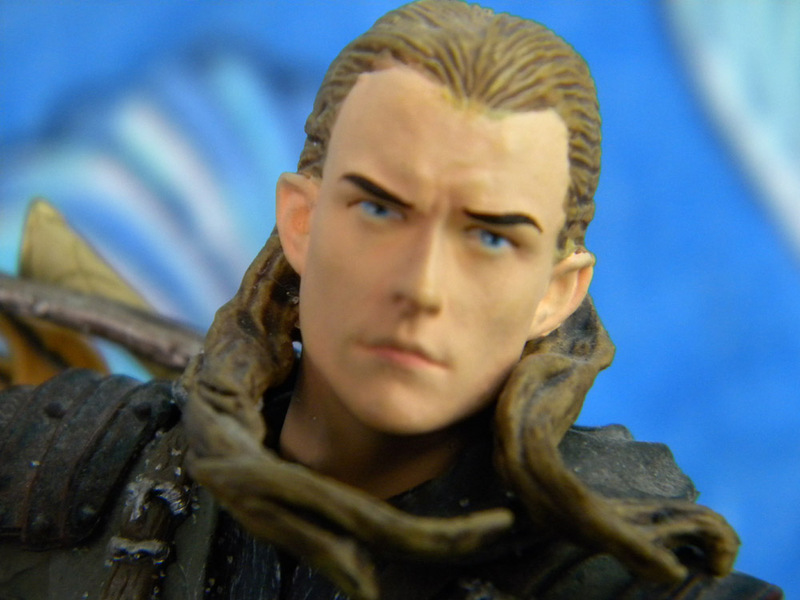 The blowing sand is natural, I only added special effects (a handful of flung sand) on the Legolas In The Forest scene at the top of the page. The first five pics are of Traditional size Breyers, along North Beach on Assateague Island, where wild ponies do run. The next set is the smaller Classic series, many done as mustangs, at least two are Spirit and Rain from the Dreamworks film Spirit. The "strawberry roan Appaloosa" is Breyer's running Stallion (sculpted by Chris Hess, 1968 - 1974). He's usually listed as a "red roan" though red roan is a bay base with black points and this is clearly a chestnut base with chestnut points. Also, the spots are more like a leopard complex horse like the Appaloosa... a roan is a smooth combination of white and colored hairs. He's quite a flashy model, one of my favorites as a kid, I named him Volcano.m The running foal is the "alabaster" (light grey) in front, and the Running Mare is the darker grey with white mane in back. The black galloping horse in full flight is Black beauty (Chris Hess sculpture), 1979ish.